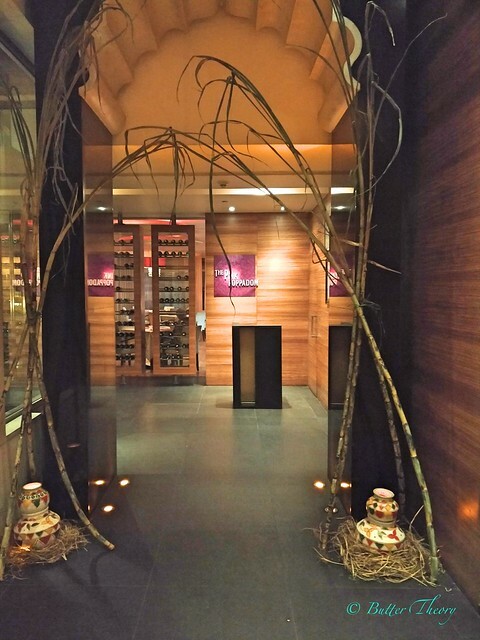 Hyatt Bangalore is one of the finest Luxury Business Hotels in Bangalore. It is spread across 1.6 acres of greenery in the heart of the city, on the M.G road, Bangalore! Not only does it have some of the best guest rooms to offer for visitors to stay, but they also have some of the best dining options to offer! 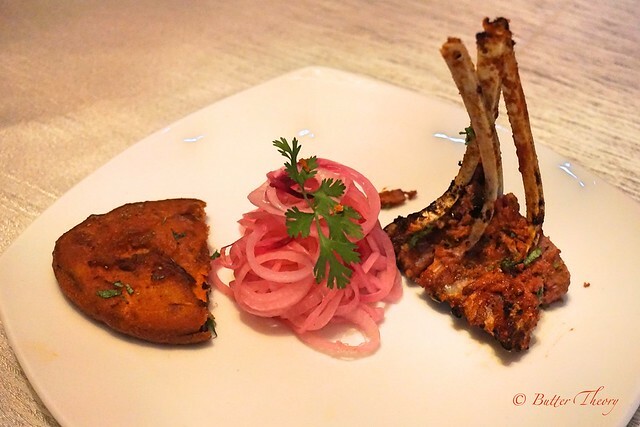 Pink Poppadam is one of the 3 dining options available at the Hyatt Bangalore. 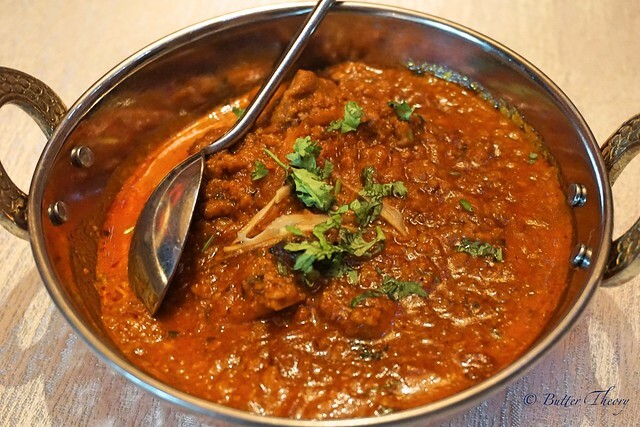 It is a Fine Dine restaurant that serves Indian cuisine while being very contemporary at the same time! 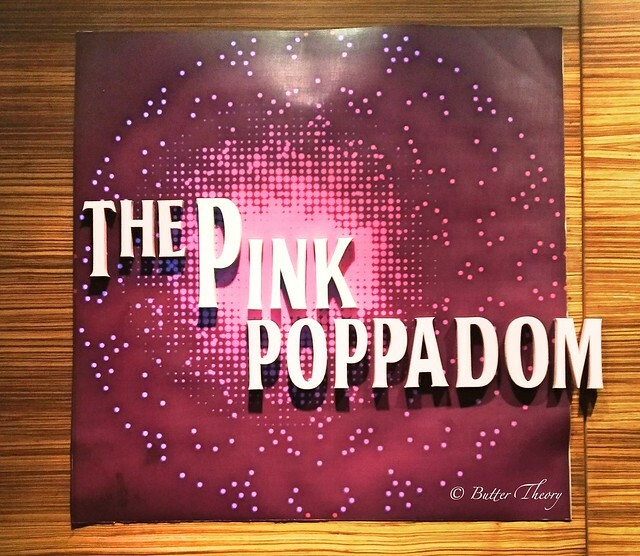 In 2014, the Pink Poppadom was rated as the “Best Modern Indian Restaurant” for the third consecutive year in a row by the Times of India – Times Food Guide Award. 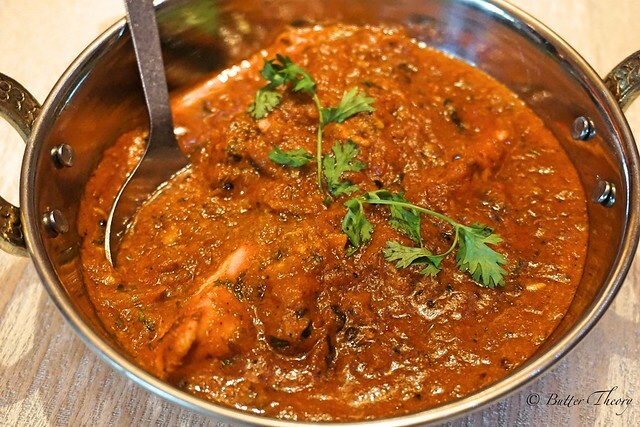 I was invited to the Pink Poppadam during their Ambarsariya food festival. 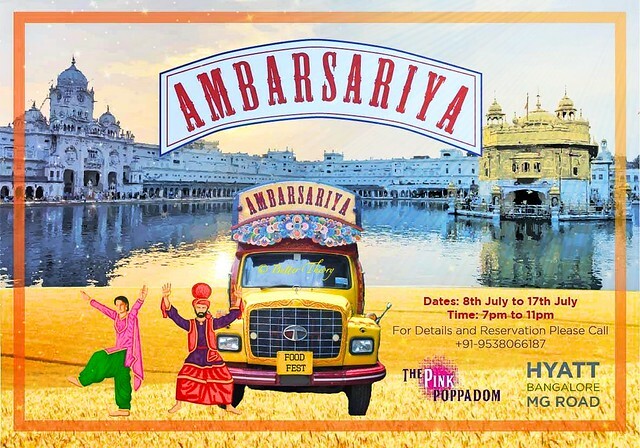 Ambarsariya in Punjabi, is a man belonging to Amritsar city, in Punjab! This food festival was to celebrate the food coming from the land of Punjab 🙂 I love Punjabi food and I was quite thrilled to be part of this! 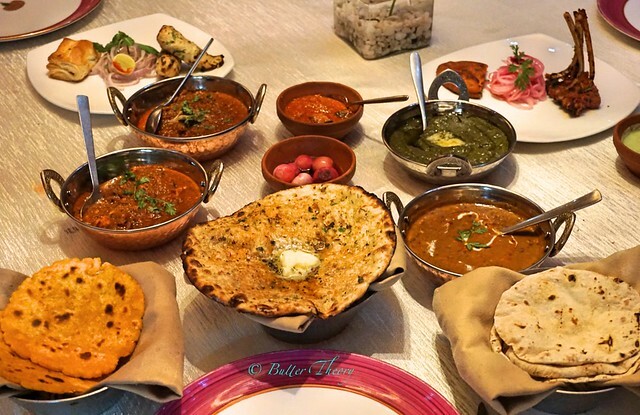 Sarson da saag and makki di roti, Butter chicken, kulchas, lassi, Chole, Paranthas, Dal Makhni easily make the cut to the collection of best of Punjabi cuisine and I got to try all of these dishes during this food festival!! 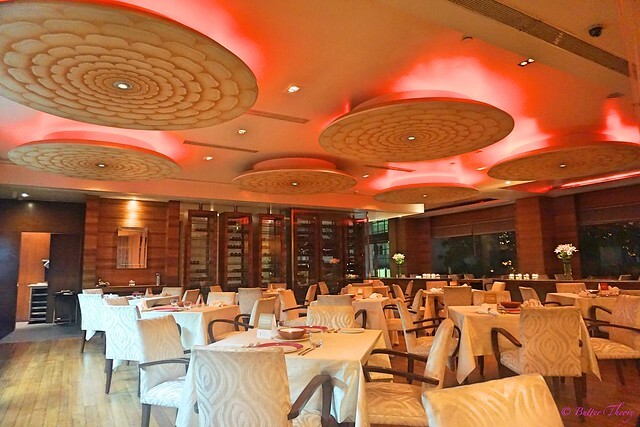 The ambience is very plush with a dim lighting, with the color Pink used quite a lot; from the lights on the false ceiling to the plates. The linen on the tables and the chairs is white. And the seating is pretty comfortable! I started off with a beverage that’s something that makes me very nostalgic ; the Bunta. 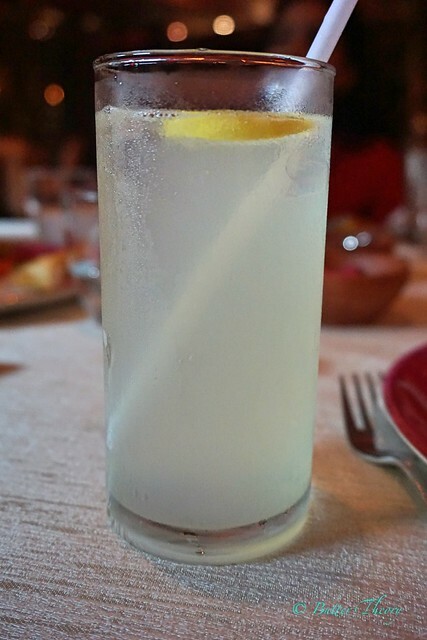 It is a soda beverage, which has lemon and flavored with several spices. It is usually presented in a codd-neck bottle,whose mouth is sealed by a round marble (instead of a cap). While, the drink that was given to me was Bunta, but wasn’t presented in the same fashion over here! It came in a regular glass. 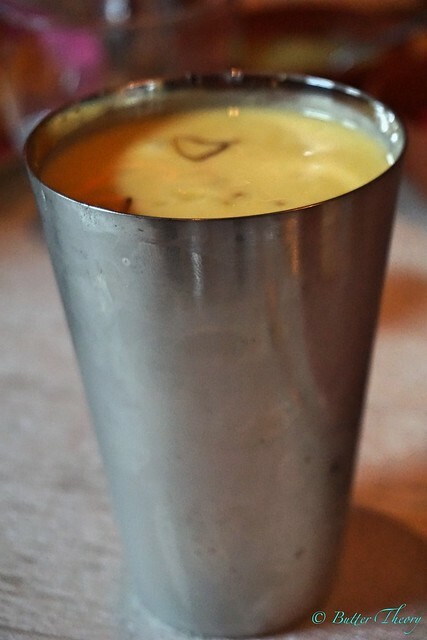 What I had next was a glass of Mango lassi. 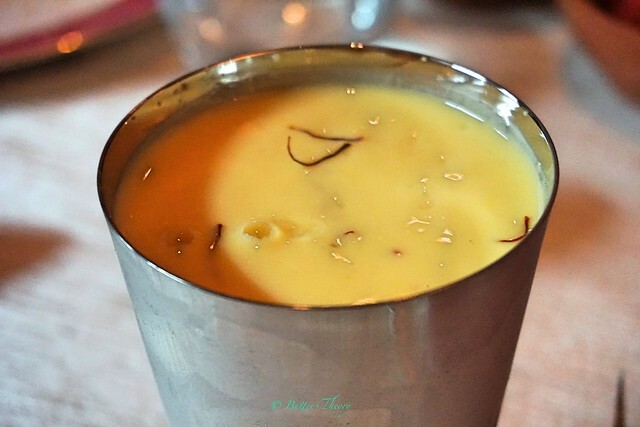 It had saffron in it and couldn’t have tasted better! I always expect lassis to be thick in consistency and this one was just the way I would have liked it 🙂 Good job on that one 🙂 It wasn’t overly sweet too ! 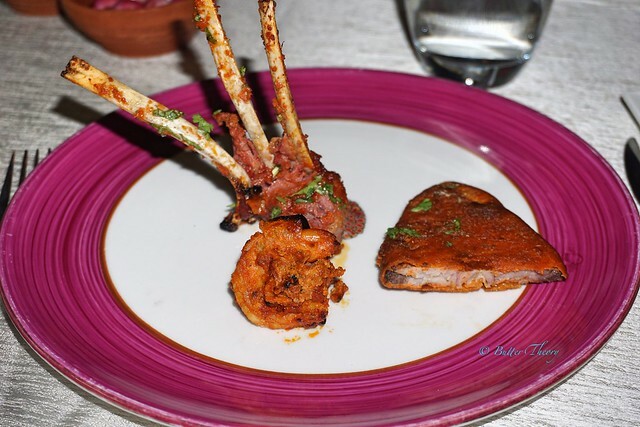 They served fish cutlets, lamb chops and Bhatti De Jhingay(prawns) in the non vegetarian section. The coating on the fish cutlets was quite flavorful which complemented the well cooked fish. The lamb chops was a little undercooked, although it did look very appetizing 🙂 The prawns were just about average, because it was chewy. 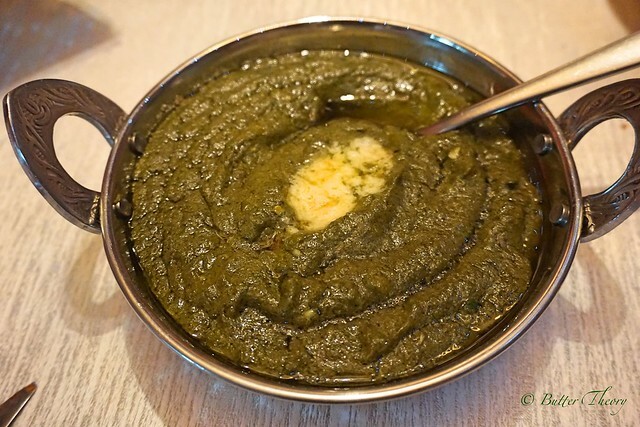 We started off the main course with the most popular item in the Punjabi cuisine; Makki di roti and sarson da saag. The gravy was fantastic with loads of butter added on top! 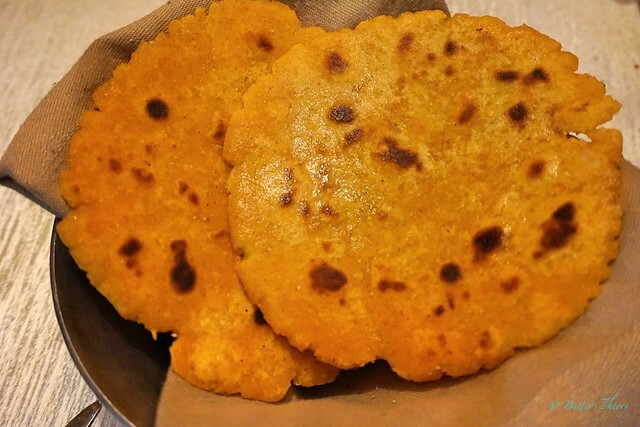 The makki di roti could have been better. 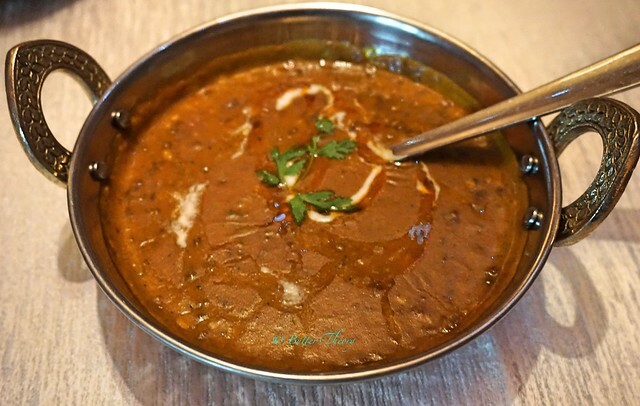 We also had phulkas to go with Dal makhni, Butter chicken and Rara gosht. 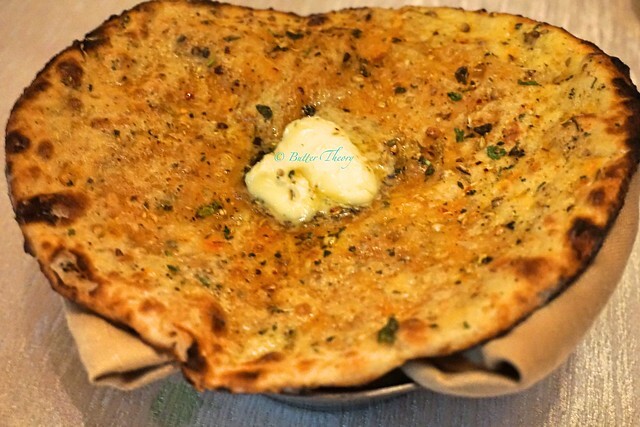 I picked the Amritsari kulchas as it’s one of my favorite indian breads, besides the Garlic naans! 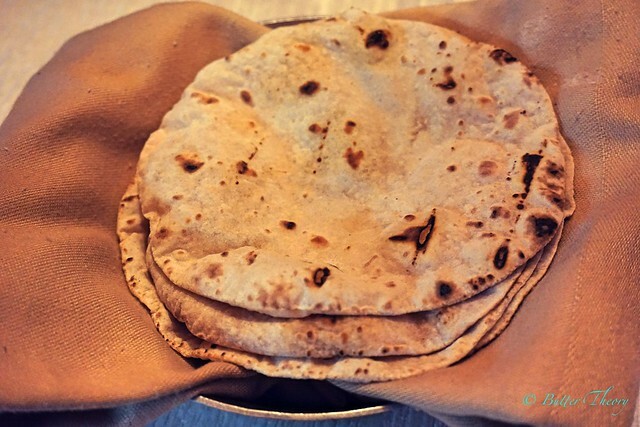 I can’t quite describe the feeling I had when I took the first bite of amritsari kulchas with butter chicken ; it was heavenly! This alone made my day and I was quite happy I made it here, despite having stuffed myself at another restaurant earlier that day!! I had no space for desserts, although they did have beetroot halwa and phirni. The service at Pink Poppadam is quite slow and we literally waited for ages to get us going. The time we waited after our appetizers for main course was at-least a good 30 minutes! I’m not even kidding 😦 They’ve got a long way to go in terms of service, if they were to compete with the rest of the competition. I haven’t tried the other restaurant within Hyatt to comment on the service in general at Hyatt! @C& C Alpha Group : Thanks for the pingback! 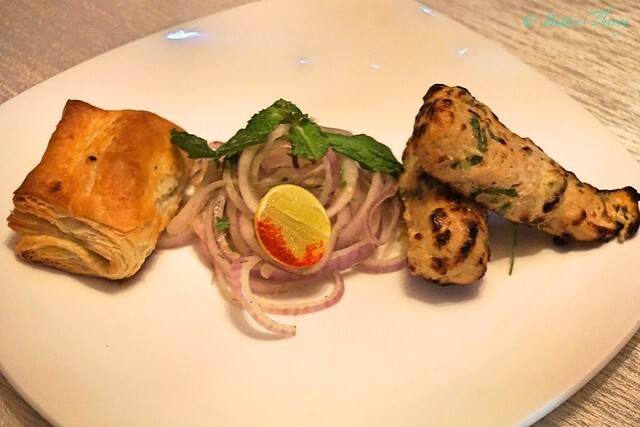 Next Post Biggest Foodie Contest @ Barbeque Nation!